A lot of abilities or super-senses if you like, overlap, compliment or add to one another. The same with empathy, telepathy, and Oneness. Where the stages in between are somewhat hazy and unclear and open to speculation. Why is it important to acknowledge the connection? We have more and more of us reincarnated as Empaths, and while many empaths really see it as a very painful and disturbing phenomenon, they are simply more attuned into other energies, something we will all eventually (and hopefully) reach. Welcome to the state of oneness, when we are each recognizing ourselves as an individuality, yet together we are One complex body of the total sum of all of us. When we know or feel how each other member of our organism feels. Pretty much like dealing with our own body, when we are generally ok, but then this or another community of cells is getting our attention due to a disease or malfunction or perhaps even hyperfunction of sorts. to being treated for the disease that belongs to your mother (yours truly) and you yourself do not have it, to a full-blown manifestation of exactly the same disease. It’s almost like an empath has this uncontrollable urge to achieve equilibrium only to take a part of your disease as one couldn’t find any other solution. Not consciously of course. And Empaths don’t always need to suffer that way, there are ways and means of how to learn to control your own state better as well as how to temporarily suspend such a unique ability. 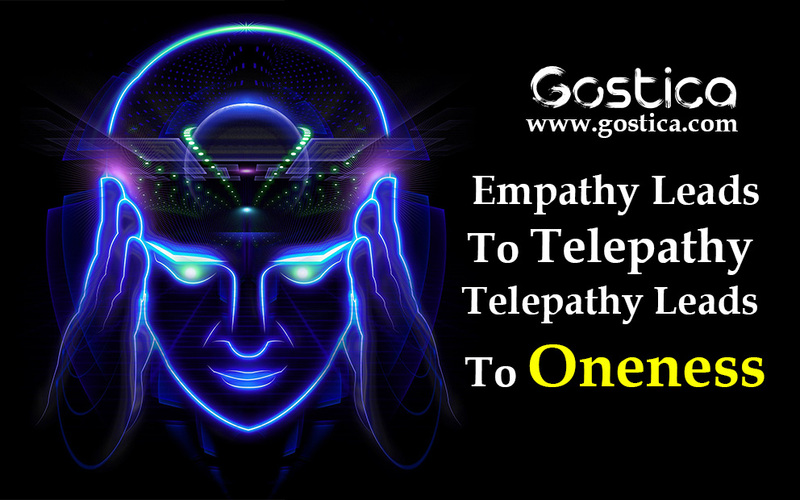 You see, there are many and many plusses to empathy… And then it is somewhat crossing the path with telepathy. You may feel something with regards to another person, you tune in, and thoughts are crossing your mind. The thoughts are strange, and before you know it, that every person that got your attention, is saying the very same words that have just crossed your mind! Mind-blowing, right? But not unusual. You’ve been there, you’ve had it. Recommended: 6 Types of Psychic Empaths: Are You One of them? It’s almost like Empathy is a prerequisite or a component of telepathic abilities. And if you are an experienced empath? Chances are you’ll recognize the thoughts as thoughts of someone else’s straight away, and your ‘feeling’ ability will direct you to the very person who had those thoughts. If we just pause for a paragraph here, you see how interlinked we are? We are already interconnected with our whole family, community and perhaps other beings, it’s just that we only perceive the strongest ‘signals’. We still perceive all the others; notice how at times the whole office has low morale for no reason? Well at least for no clear to anyone’s reason? Or have you ever thought how strangely happy you feel and you share it with a random stranger at the airport lounge while waiting for your flight to be announced, only for the stranger to tell you that is exactly the way they feel? it is a partial state of oneness and it is a full state of oneness, in that however fleeting moment it was that stranger in an airport lounge. We are already in a society of Big Brother, where everything is available at our fingertips should we have access to the right sources, networks or information. Oneness is just one more leap in the evolution we are heading towards to. “But what’s reality? Who has its clue? Philosophy? No; she too much rejects. Religion? Yes, but which of all her sects? Olga Star is a founder of Starseeds School & Sanctuary in England and is a practicing Spiritual Teacher for the last ten years.